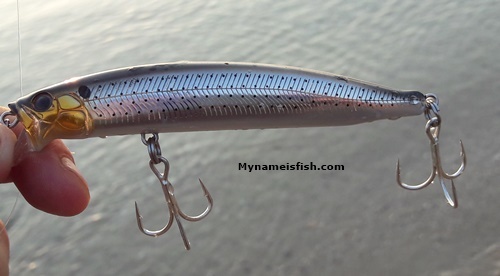 DUO Spearhead Ryuki 50MDF is one of those magical lures in my tackle bag. 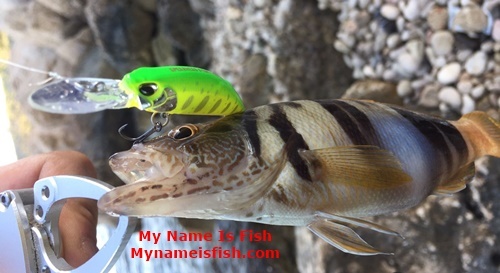 About 8 months ago I have introduced this amazing little minnow when I tried it first time - Spearhead Ryuki Floating Minnow For Bass and Bluegill - in a lake in Ohio, USA. ed. I caught couple of neddlefish in the sea and a a few perches in the river. Last week finally I had a chance to try it for LRF. There was a little pebbled beach with some shallow rocky bottom. It looked perfect for my naughty minnow. Water was calm and very clear. And took only about 50 seconds.. Bammm! First Painted Comber of the day was hooked. What a fun! These painted combers are like hyperactive kids on the block. If you present them the right colour of bait, they will never say NO. 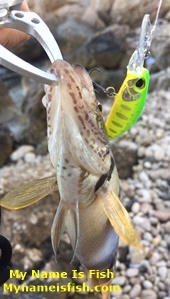 I caught 7 combers with DUO Spearhead Ryuki 50MDF Full Chart Yamame and all released back in blue waters of Mediterranean. 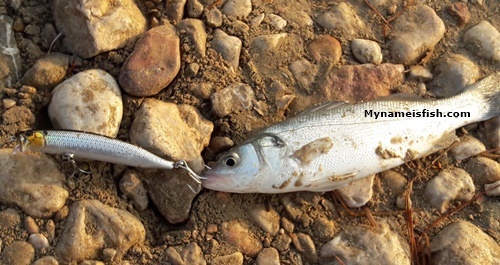 Tackle House Feed Shallow 105 has become one of my favourite lures to catch seabass when the water is still and clear. It's an exciting lure. Floating but feels like sinking. 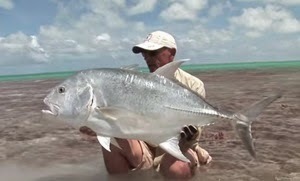 It flies like a bullet over the water surface and easy to control in rough conditions, too. Needlefish love it, too. Seems they love chasing it as it has a very distinctive tail and head move. I caught these sea basses on Konoshiro colour. It's really effective in clear waters.